London’s leading Event Marketing and Sales company Citipeak Events, attended a Black Tie Awards Gala at the weekend. The firm’s MD was awarded for his recent achievements within the sales and marketing industry. Nick Johnson, Managing Director of sales and event marketing firm,Citipeak Events, was awarded at the 2016 Sales and Marketing Awards Gala in London at the weekend. The entrepreneur was awarded for the firm’s 2015 growth success. Other awards included business owner of the year, most improved business owner, rookie owner of the year, top sales company and top performance. Nick Johnson was then selected to hand out the awards to the industry’s top performers of 2015. The Black Tie Awards Gala was held last Saturday 21st May at London’s five star Grosvenor House Hotel in Park Lane. This year’s event consisted of a champagne reception for networking opportunities and was followed by a prestigious awards ceremony, delicious dinner and entertainment in the Ballroom until midnight. ‘I felt very honored to be rewarded and recognised for the firm’s success at the gala’ said Nick Johnson of Citipeak Events. ‘I have been working hard to ensure the continued growth of the firm over the past year, and it was a great occasion to celebrate this achievement’ added Nick Johnson. The awards gala is the most prestigious event in the sales and marketing industry’s UK calendar, and past events have seen first class entertainment, speeches and prizes/ awards and have become a celebration of the industry’s collective achievements. The event saw a number of top independent sales company leaders chosen as keynote speakers and to present the awards to celebrated individuals for their business achievements throughout 2015. The event was very prestigious (invitation only!) and set for the best business owners and their partners in the industry. 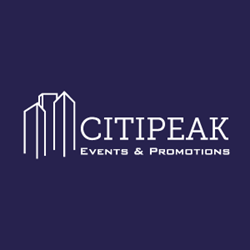 Citipeak Events is London’s most ambitious and dynamic outsourced event marketing and sales firm. The company develop and execute event marketing campaigns that take their client’s products and services directly to the target market, demographic and geographical area. The successful and established firm use a personalised approach that enables them to generate immediate and easily measurable results for their client’s brand. Citipeak Events were excited to celebrate the firm’s success at the awards gala and it has motivated the company to continue their growth throughout 2016 and beyond.